Catholic Archdiocese of Kaduna has revealed that the abductors of Reverend Father John Shekwolo, the Parish Priest of Saint Theresa Catholic Church, Ankwa Kachia Local Government Area of Kaduna State, are yet to contact the church for ransom, 24 hours after the cleric’s kidnap. Punch reports that the Archdiocese’s Chancellor, Father Daniel Kyom on Tuesday made the revelation public. The information which was confirmed from Kyom in a telephone conversation with Northern City News when contacted to verify whether the abductors had reached out to the church, the chancellor said they were yet to hear from the kidnappers. He said the church has intensified prayers for the priest so his abductor would release him unharmed. “They (abductors) are yet to contact us. For now, we are only praying for the priest,” he said. In another development, Kaduna State chapter of the Christian Association of Nigeria (CAN), have on Tuesday condemned the abduction of Father Shekwolo. 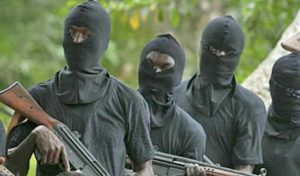 Hayab in a statement warned that until the government pays attention to security matters in the state, kidnapping and related crimes would continue in Kaduna. He wrote, “While we note with pain that kidnapping in Kaduna State has become a big business, we appeal to the consciousness of the kidnappers to kindly release Fr. Shekwolo unhurt. “It is sad that Kaduna State has become the centre of kidnapping with the government doing almost nothing to stop it. This shows that there is a governance failure as far as security of lives and property is concerned. “Unless we stop paying lip service to issues of security, the evil of kidnapping and other insecurity problems will not stop. “I am appealing to all faithful and lovers of peace to continue to pray for Rev. Fr. Shekwolo and for God to touch the hearts of the kidnappers.” The statement read. This entry was posted in abduction, Christianity, Crime, News and tagged Abuductors, Catholic Priest, Christian Association of Nigeria Kaduna State. Bookmark the permalink.